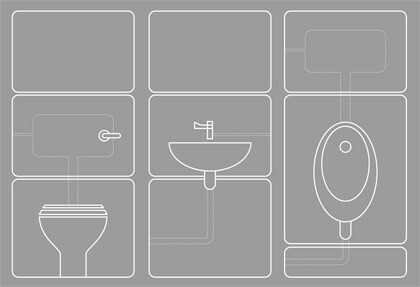 For the complete washroom, how about our integrated panel system. 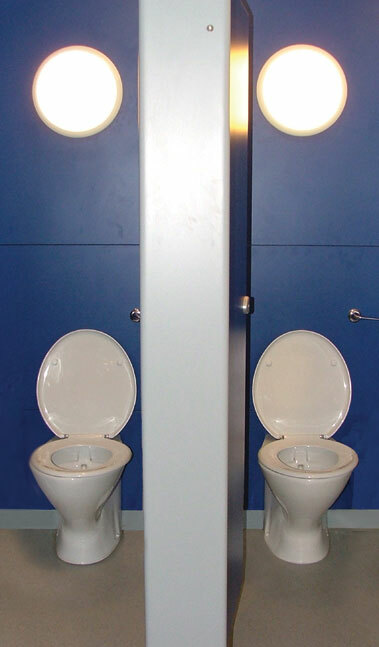 Using the same choice of materials as detailed in the Cubicles section, IPS panels provide a practical and attractive solution to concealing WC and urinal cisterns and associated pipework. ASFAB panels are supplied in sections to suit the appropriate sanitary ware with lift off hidden fixings for easy removal. Features include square PVC edges or post formed and can be supplied with matching or contrasting shadow gaps.